When Kevin West resigned from his job as vice president of a bank in 1998 after making fraudulent loans, he spent the time before his trial managing a family-owned, small grocery store in Ironton, Ohio. Dealing with serious marriage problems and with a prison sentence almost certainly in his future, Kevin was overcome with remorse and without a scrap of hope. It was at his lowest moment that Kevin called out to a power beyond himself for help, and God answered his prayer in the form of an elderly vagrant named Don. 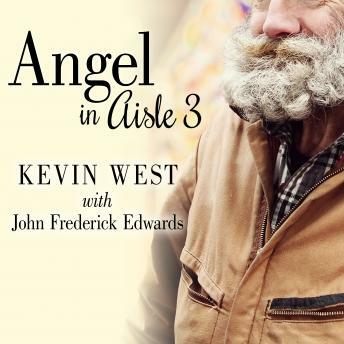 When Don saw Kevin's open Bible on the counter next to the register, the untidy, long-haired indigent took the opportunity to share Bible wisdom and life-giving truths that changed Kevin's life. Finding a sense of peace in their conversation, Kevin offered Don a few basic groceries and an invitation to continue their conversation the next day. What began as a chance meeting between two individuals whose lives seemed headed for certain ruin turns into an unlikely bond of friendship that saved them both.